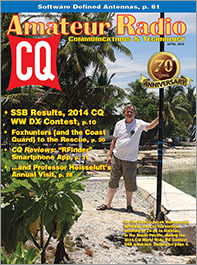 The April issue of CQ features the SSB results of the 2014 CQ World Wide DX Contest, in which more than 5 million contacts were made by over 8000 stations submitting logs. Ten meters was the star of the 2014 contest, packed at times with as much as a full megahertz of signals! Category winners include: 8P5A, ZF2DX, VE3VN, LX7I, 9A2EU, CN2AA, IO9Y, CN3A, and HK1NA. 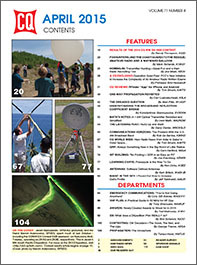 Another form of ham radio competition is Amateur Radio Direction Finding, also known as foxhunting; and April's CQ features the rules for this year's CQ World Wide Foxhunting Weekend as well as several stories of foxhunting fun for all ages. We've also got a look at one-way propagation and a CQ Review of the RFinder app for smartphones. And, if it's April, it must be time for our annual visit from Professor Heisseluft … this year, he's turned up evidence of a secret plan to make our license exams show that we actually know something! Among our columns, we help you prepare for "sheltering in place," introduce software-defined antennas and offer a practical guide for HF operators to making contacts using that "50" position on your transceiver's bandswitch. All that and much more is coming up in the upcoming April issue of CQ magazine. Click here for more information on becoming a CQ subscriber! 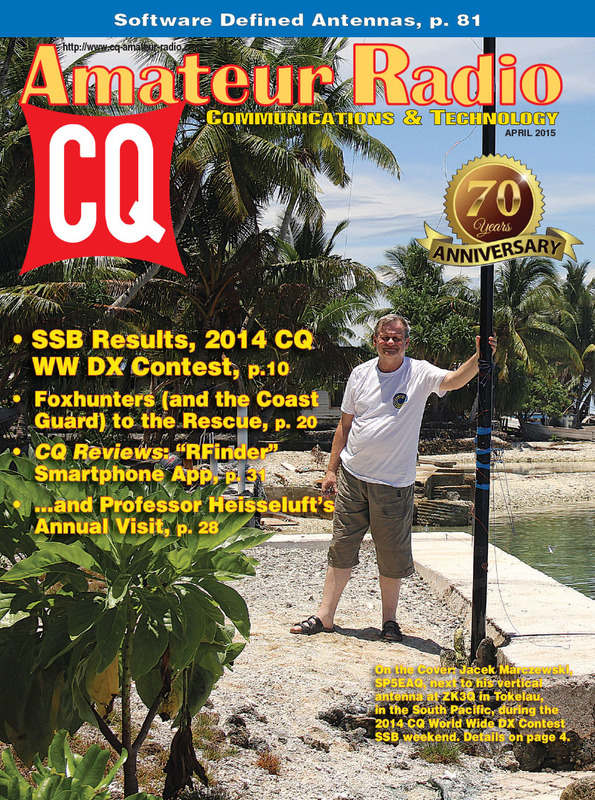 On the Cover: Jacek Marczewski, SP5EAQ (pictured), and his friend Marcin Adamowicz, SP5ES, spent much of last October - including the CQWW DX Contest SSB weekend - on Nukunonu Atoll, Tokelau, operating as ZK3Q and ZK3E, respectively. This is Jacek's fifth South Pacific DXpedition. 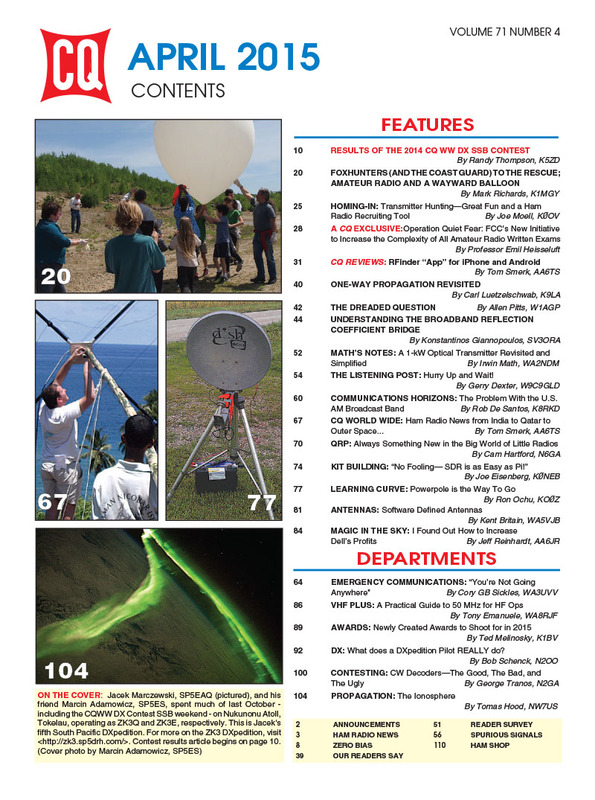 For more on the ZK3 DXpedition, visit <http://zk3.sp5drh.com/>. (Cover photo by Marcin Adamowicz, SP5ES).